Please copy and paste ' [[Category:Tilapia]] ' into the end of your article to include it in this category. 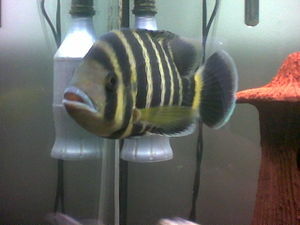 Tilapia are an mostly under appreciated group of Cichlids from Africa. They, sadly are often judged upon as mean giants because of more aggressive species like Tilapia buttikoferi, which is a true giant. 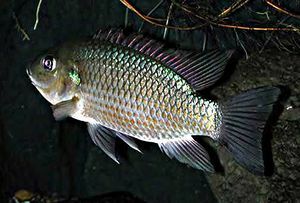 Others are smaller, like Tilapia ruweti which grows only to 10.2cm (4"), and Coelotilapia joka, which is big, but relatively peaceful.